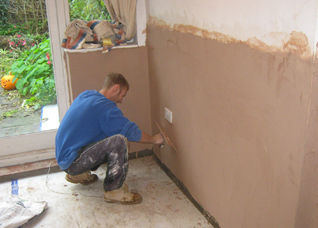 The fixing method of damp walls can vary depending on the age and construction of the property. Damp proof courses were not commonly in use until around 1875, consequently there are many properties suffering from rising damp. In the early years of damp proofing, slate, engineering brick or bitumen was used as a damp proof course. The most commonly used damp proof course in recent times was bitumen felt up until the 1980’s, plastic strip damp course has been used since the 1970’s and are now the most common form in newly built properties. With the natural movement of a building over time, courses like slate may crack and allow moisture to rise up through the brick work or very often damp proof courses become bridged by raised ground levels, replacement floors or when being replastered during renovations. On older properties we create a new chemical damp proof course using a siliconate formula. To ensure an effective treatment firstly the wall plaster must be removed, as whilst the moisture has risen through the brickwork, this carries with it hygroscopic salts. These salts also draw moisture from the atmosphere and can hinder effective treatment. In order to impregnate the wall the mortar bed is drilled into and the chemical is pressure injected into the wall. Where the external ground level is higher than the internal ground level, we also tank the walls to prevent dampness below the level of the damp proof course. Tanking is a waterproof slurry applied to the wall which creates a waterproof barrier against moisture. When installing a DPC in properties such as those constructed of stone, the injection procedure uses a dpc cream to create a new damp proof course instead of a liquid as this has improved penetration in such materials and forms a barrier against rising damp. Once the walls have been treated, the areas are then replastered using plaster which contains waterproof additives and salt inhibitors to provide a fully comprehensive treatment. 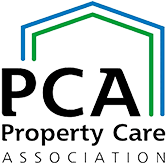 We are a Chartered Building Company, Full members of the BWPDA (British Wood Preserving & Damp Proofing Association), PCA (Property Care Association), CHAS and the Guarantee Protection Trust. 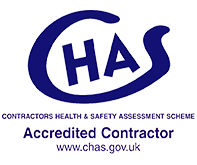 We offer comprehensive range of services to home owners and property professionals or can work with your builder to undertake the specialist damp proofing as part of your overall refurbishment. Click here to contact us.